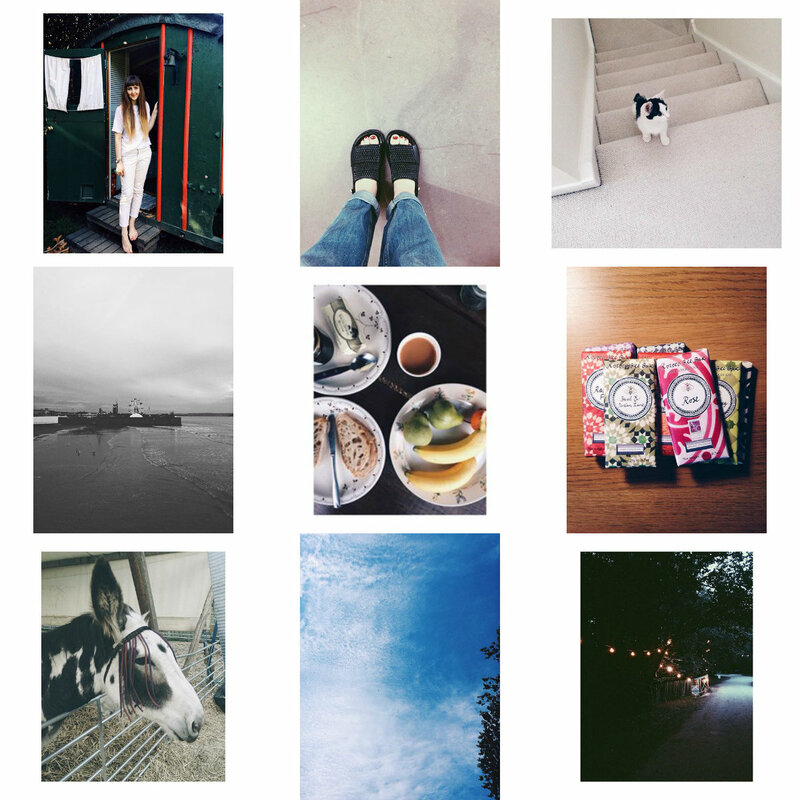 I am writing August's instagram roundup with the rain softly pattering against the window; naturally on a bank holiday the weather would be foul, of course! I'm pretty sure every time I write an instagram post I comment on how quickly the month has flown by, and August is no different! I think because the weather hasn't been that great this month, it's still never really felt like summer has taken hold, and all of a sudden it's almost done. I did feel lucky to enjoy the sunshine on a trip to Sussex camping with White Stuff, you can read the posts I wrote about the event here and here and if you follow me on instagram, you'll have seen a lot of these images already. It was such a beautiful site and the event was made all the lovelier by the beaming sunshine. This bank holiday weekend I headed over to Weston-super-Mare to see my mum and dad for my mum's birthday. Again the weather was pretty lovely on the Saturday and we went out for lunch and sat outside to eat; such a treat. I also got to meet my brother's cat Jessie who is so cute! September traditionally signifies the start of autumn but I'm hoping summer's not done yet, I still have sandals to wear and (hopefully) more alfresco dining to enjoy before the season's out.